Pardon me, ya'll. I've got to get some stuff off my chest about this bunch of completely incompetent imbeciles known as the New York State Department of Taxation and Finance (henceforth known as the "Friggin' Idiots"). I love my state, but sometimes people like this make it really hard to live here. Rewind 1 year. So there I am, minding my own business in 2012 when along comes a letter from the federal IRS asking if I could please send a paper copy of my 2010 federal and state tax returns that I had filed electronically in 2011. Sure, no problem. I thought it was a little odd that they would ask for a paper copy since I file electronically on-line every year without incident but I did it anyway and kept it moving. Little did I know, the IRS sent the paper copy of my 2010 New York State tax return to the Friggin' Idiots. Once the Friggin' Idiots got a hold of it, the Friggin' Idiots did what Friggin' Idiots do, which was to process it as if it were brand new without taking 30 seconds to notice that they had already processed this exact same tax return before. Nobody put 2 and 2 together. Nobody raised any red flags or stopped to think "hey, here's a copy of this guy's 2010 return and this is the year 2012...is it in any way possible that we've already processed this over the past 2 years?" Nope. No analytical thinking going on here folks. That would apparently be asking for too much. A few weeks later I go to check my bank account and -- without any warning whatsoever -- I find a substantial amount of money missing (just north of $1,500) with a little note on the transaction line saying "Break yo' self, fool! Yours Truly, The Friggin' Idiots." Well, it didn't literally say that but you get the point. The Friggin' Idiots reached into my bank account and deducted THE EXACT SAME AMOUNT TO THE PENNY that they had deducted 1 year prior. You would think that there would be some sort of checks and balances in place to prevent something like this from happening but no. And here's the kicker: when I call up the Friggin' Idiots and go off on everybody in the Department (including their respective managers) they immediately acknowledged the mistake, apologized profusely, and then proceeded to tell me that it would take 30 days to process the return back into my bank account. Let me get this straight, it took you all of 30 seconds to take the money OUT of my account, but it takes you rat #*(@# !@#!*(! @#'s 30 DAYS to put the money back in??? What kind of *@(#$ is that? What about all of the bills and expenses that I had to cover during those 30 days? The word "Inconsiderate" doesn't even begin to do justice to the level of Tom Foolery displayed by the Friggin' Idiots on that one. Fast forward to the present. There I am again, minding my own business yesterday when what to my wondering eyes should appear but another letter from the Friggin' Idiots. They decided to do me the courtesy of writing to me this time before reaching into my bank account. Short story long, I bought a car last year at a very good deal from a local dealership. How good of a deal? Too good, apparently according to the Friggin' Idiots. The New York DMV reported my purchase price to the Friggin' Idiots and the Friggin' Idiots actually took it upon themselves to look up the market value of my car to see how much the average Joe would have paid for it. When they did, they saw that the market value is about 15% to 20% higher than what I paid for the car. Most people would say "wow, this guy got a really good deal", but not the Friggin' Idiots. No, sir. 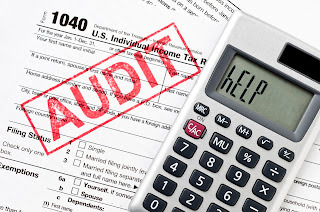 The Friggin' Idiots -- who just 1 year ago couldn't be bothered to get off of their collective lazy asses and put 2 and 2 together about processing the exact same tax return TWICE -- have now all of a sudden decided that they're capable of conducting complex due diligence. The way they see it, my deal was "too good" so therefore I MUST be lying about it in order to cheat the Friggin' Idiots out of their fair share of tax dollars. So they sent me a letter saying that I owe them $5,800 ($3900 for the sales tax on the car that they feel I didn't pay, and then an additional $2 G's for late penalties and interest). Where the *(@# do these people get off??? I mean, seriously? You can't just send people letters talking about "We are the Friggin' Idiots and because it's Tuesday we have decided that you owe us a Ga-Zillion dollars! Pay up or else we put a lien on your credit." Who the #@* do they think they are? And more importantly, what recourse does the Average Joe have to combat this type of stupidity? The fact of the matter is, I paid every penny of the New York State sales tax that was owed when I bought my car. And I have the records to prove it. So I had to take time out of my busy schedule, collect all of my records, write the Friggin' Idiots a letter and then fax it over to them so that they can say "oh, I guess this guy got a really good deal after all."